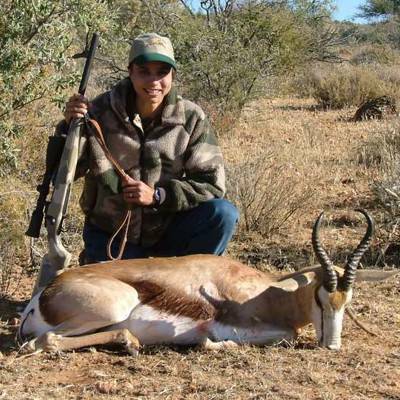 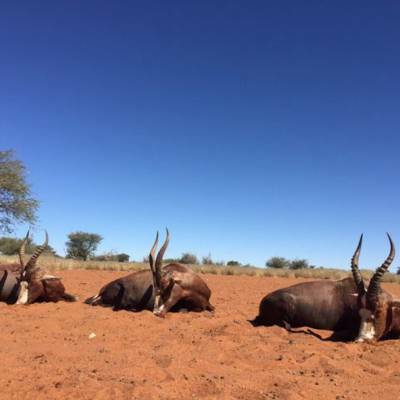 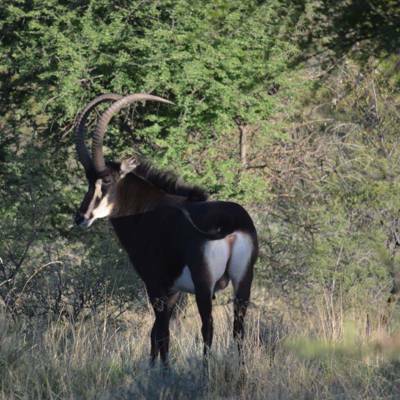 Our farm boasts a wide variety of game, including Eland, Kudu, Oryx, Red Hartebeest, Springbuck, Zebra, Waterbuck, Warthog, Klipspringer, Ostrich, Black Backed Jackal, Baboon and Leopard. 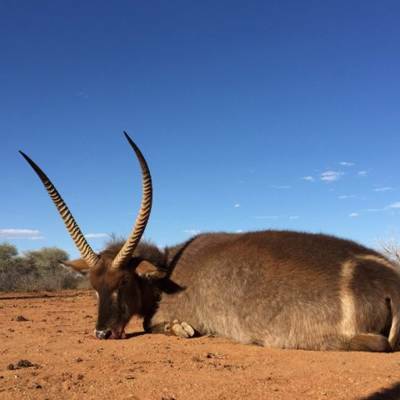 In addition, we offer an even greater variety of game on our concession areas such as Blue and Black Wildebeest, Blesbok, Impala, Waterbuck and much more. 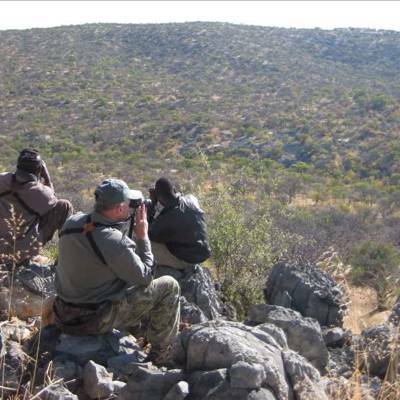 If we don’t have what you are looking for, we’ll go out of our way to find it for you. 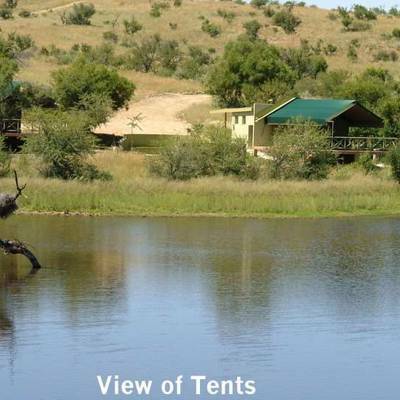 Guests on our farm can choose between the luxuriously appointed guest suites at the main farmhouse, or, for the more adventurous or budget conscious amongst you, at our tented chalets at Bobbejaan Dam. 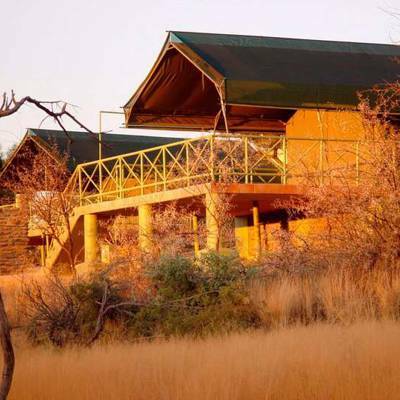 Meals are served in our well - appointed lapa, or around the campfire at Bobbejaan Dam; where you can enjoy traditional African cuisine whilst admiring our spectacular evening sunsets, overlooking a waterhole. 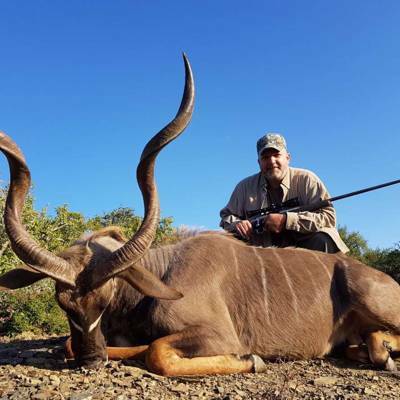 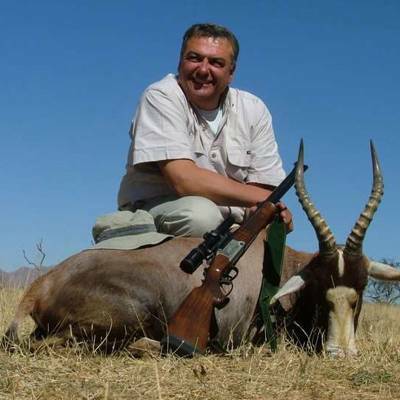 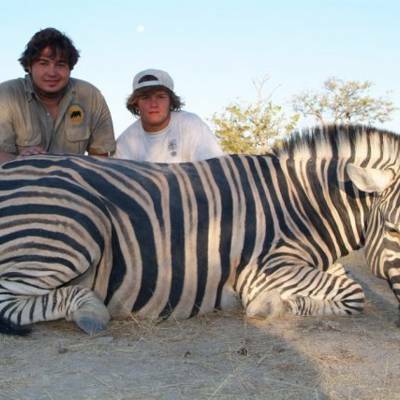 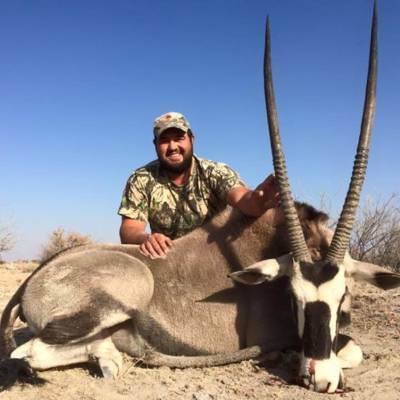 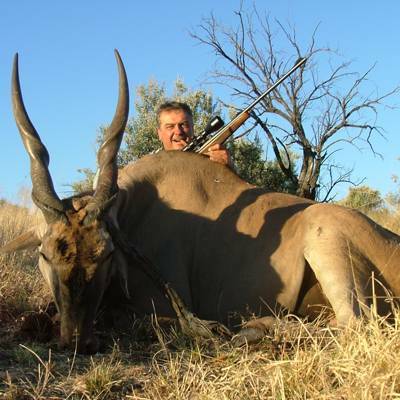 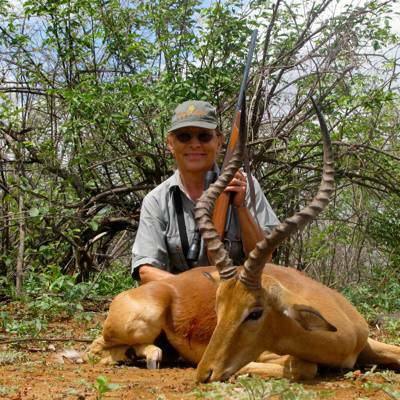 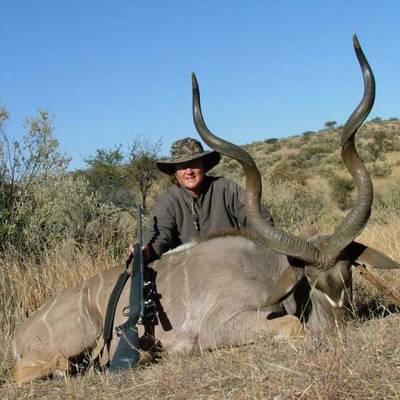 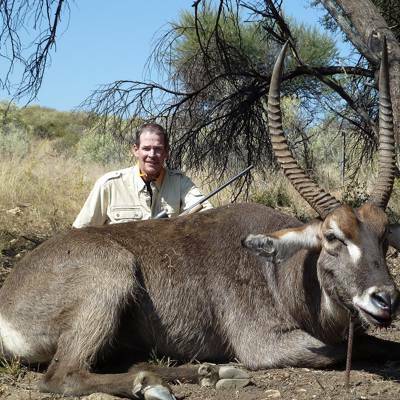 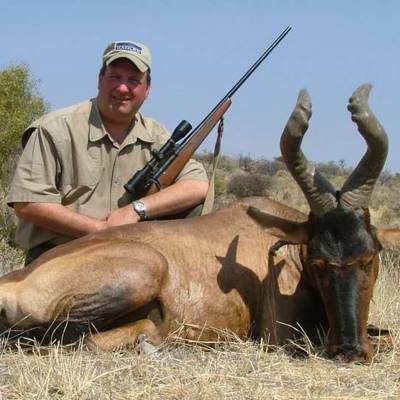 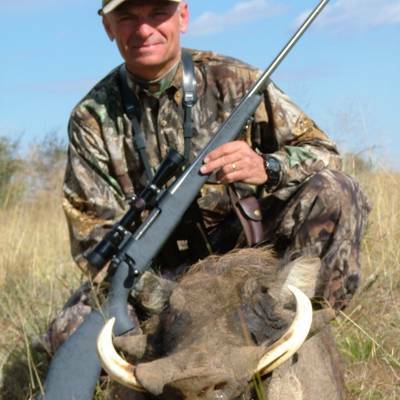 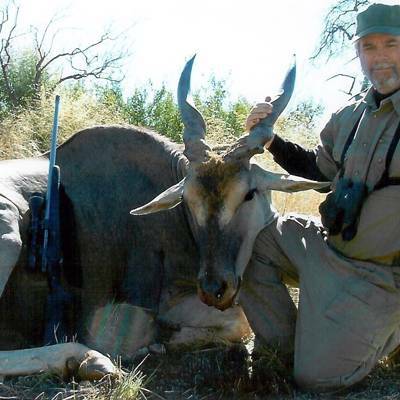 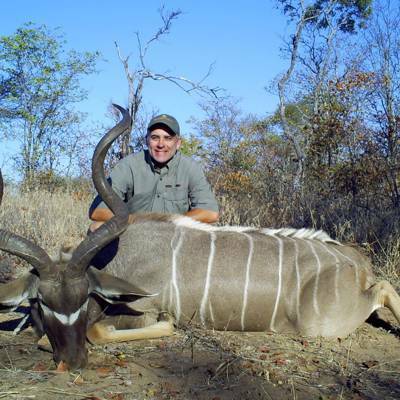 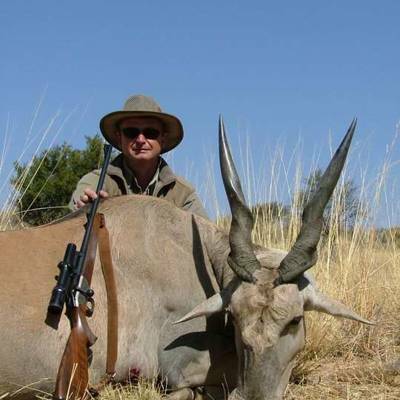 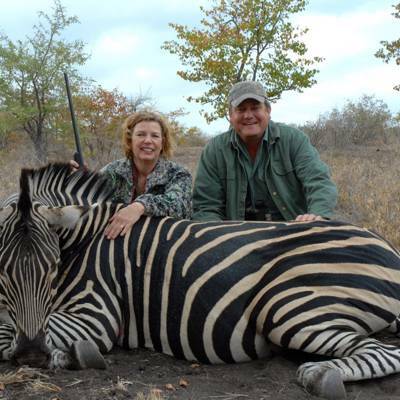 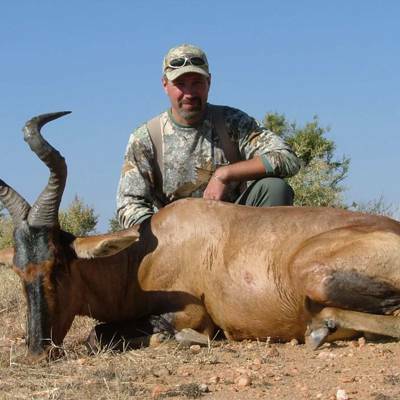 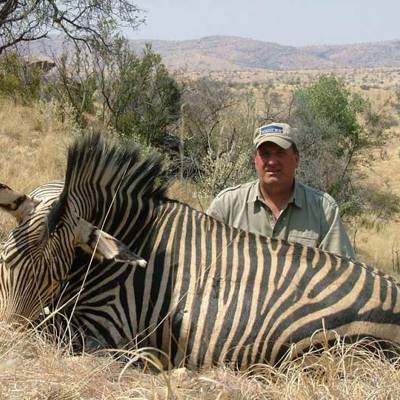 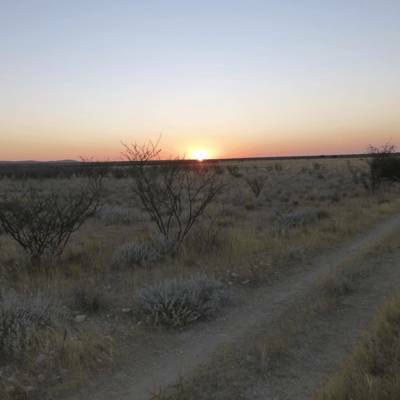 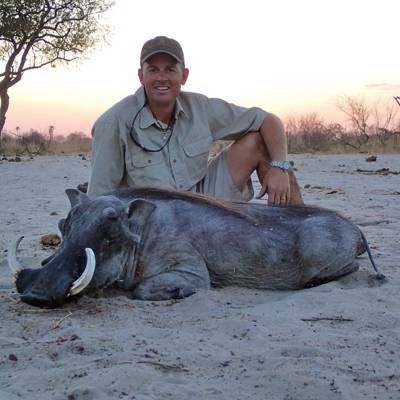 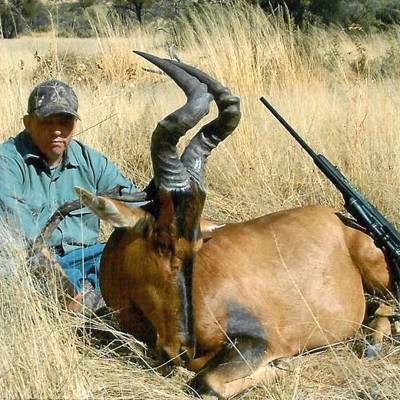 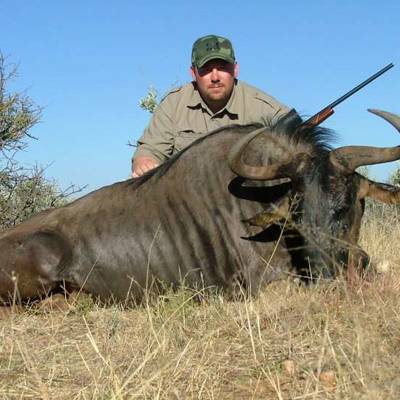 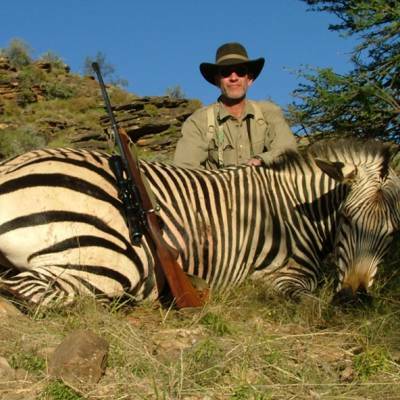 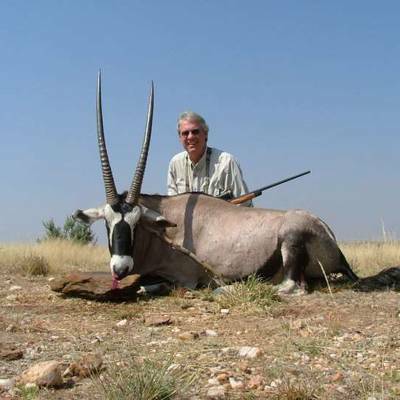 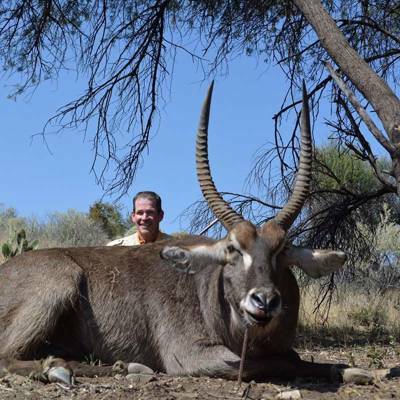 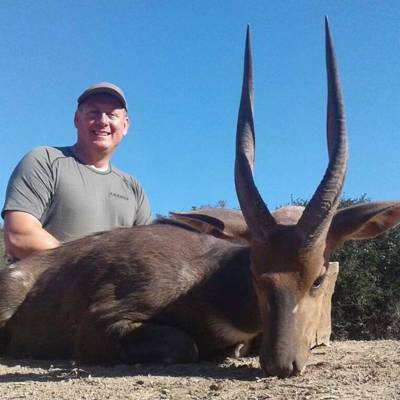 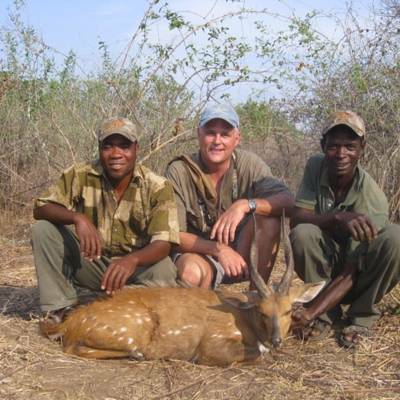 This offer includes 5 days fully catered accommodation at Bobbejaan Dam Tented Chalets for 1 hunter and 1 observer and one of each following species: Waterbuck, Red Hartebeest, Oryx and 1 day of shopping/sight seeing in Windhoek incl. 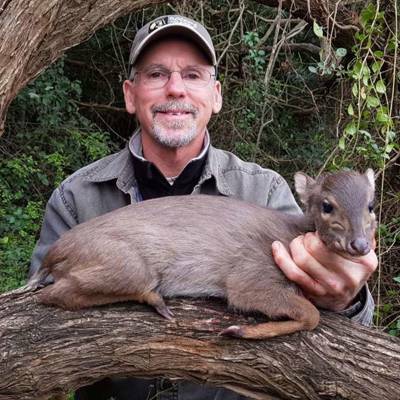 visit to taxidermist. 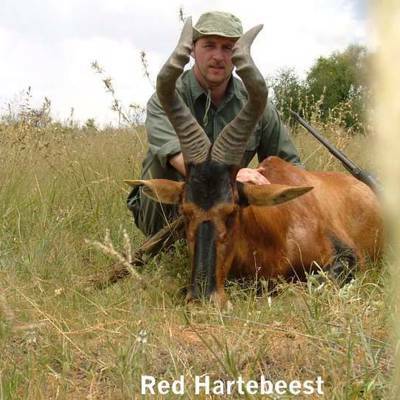 Observer can be replaced by second hunter at our 2 x 1 prices.